Things have kicked into full holiday gear around here. In an attempt to be better organize this year (did you read my post about my unfortunate history of last minute shopping) I am getting a head start on some of the handmade holiday gifts I will be giving. 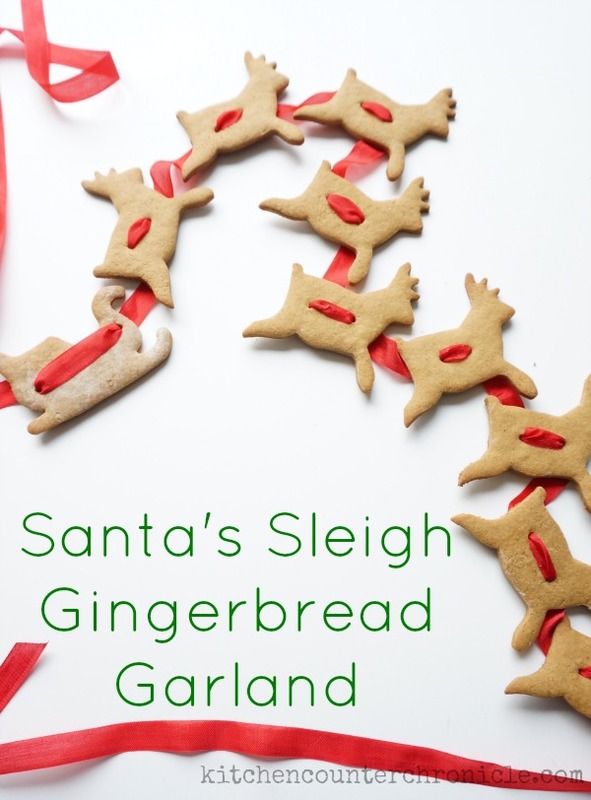 I have a few gift ideas in mind and today I am starting off by sharing a sweet treat that would make a lovely hostess gift or teacher gift…a Santa’s sleigh gingerbread cookie garland. Turning a simple gingerbread cookie into a cute garland is so simple and it elevates this most familiar of holiday cookies. You might already know that I adore Martha Stewart, well I adore her gingerbread cookie recipe. Most of the time I like to make my own spin on a recipe, but sometimes you simply cannot improve on a fantastic recipe. Martha’s gingerbread cookie recipe is one such recipe – why deviate from a tried and true favourite. 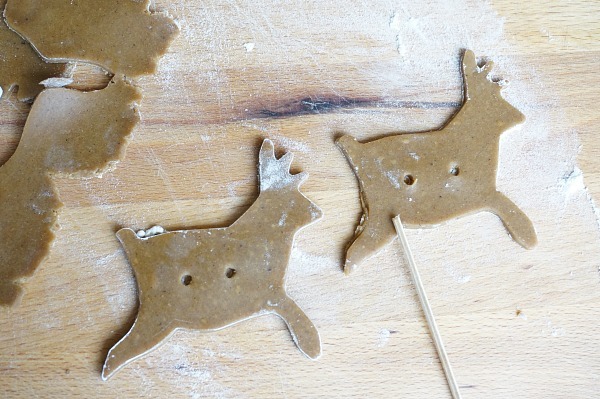 So, to make this garland, start by mixing up a batch of Martha’s gingerbread cookie dough. 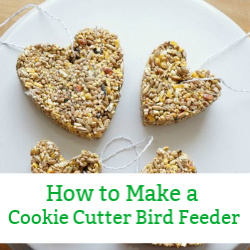 Be sure to follow the instructions and let your cookie dough sit in the fridge for at least 2 hours before rolling it out…this will help your cut outs maintain their shape. Once the dough has chilled, roll out the dough 1/8″ thick. To make the Santa sleigh and reindeer, cut out 9 reindeer (Dasher, Dancer, Prancer, Vixen, Comet, Cupid, Doner, Blitzen and Rudolph) and 1 sleigh. With a toothpick, or skewer, to poke two holes in each reindeer’s side. Make the holes large enough so the ribbon will feed easily through. Repeat with each reindeer. Poke a hole in the back end of the sleigh and the front. Bake the cookies at 350°C for 10-12 minutes. 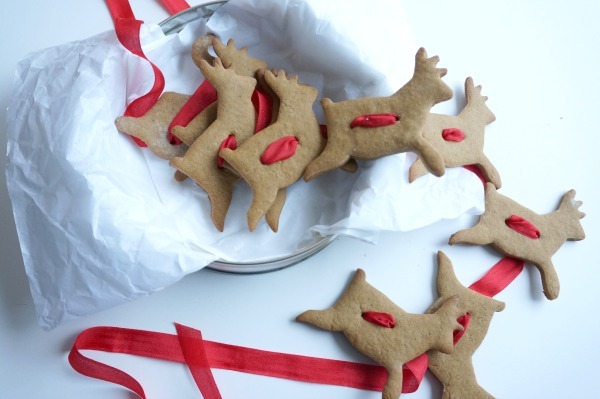 After the cookies have baked and cooled, feed a piece of ribbon through the holes in each reindeer and into the back of the sleigh…creating a garland of flying reindeer. Be sure to leave enough ribbon hanging out either end of the garland, so that it can be hung on the tree or on hooks. Stack the cookies and wrap inside a cookie tin. When the recipient opens the tin and pulls the first reindeer they will be surprised when more and more reindeer join the first. The reveal is much like when a magician pulls never ending string of handkerchiefs from his sleeve. Share this gift with friends, family or a teacher. Be sure to follow our Christmas Cookie board on Pinterest. 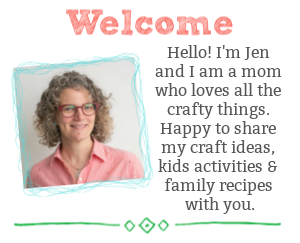 What a great idea Jen…and so simple!! I need one of these garlands for my mantel – love it so much! Wow, that garland looks great! Perfect for a gift too – thanks!! What a sweet idea. Love it, and so versatile too, I can think of lots of ideas. Thanks for sharing. 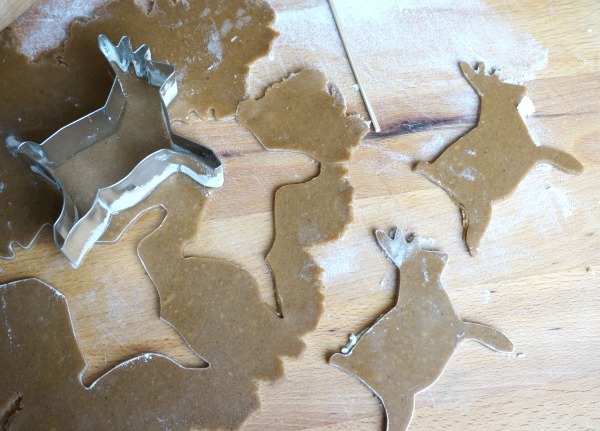 Thanks…I’m dreaming of making all sorts of gingerbread garlands now. This is a really cool idea. I also loved your reference to Martha and how you love her gingerbread cookie recipe. 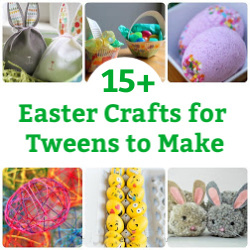 This also looks like it would be a lot of fun to do with children! Well done! Yep, my girls loved cutting out all the reindeer. Thanks. These are so cute! What a great idea, Jen! Love these! I’m sure if I used these as a garland in my house, I would keep finding missing parts on them as the days went by! Yes, I didn’t say they would make it to Christmas…crunch! Ummm… WOW, Jen! These are amazing! I love it! Thanks…they were really fun to make. I ADORE this so much! I would just love to get this as a gift, I may have to steal this idea for some homemade gifts this year! Just wonderful! Thanks so much…I really appreciate your feedback. What a wonderful gift idea! I think my son’s teacher will love it.